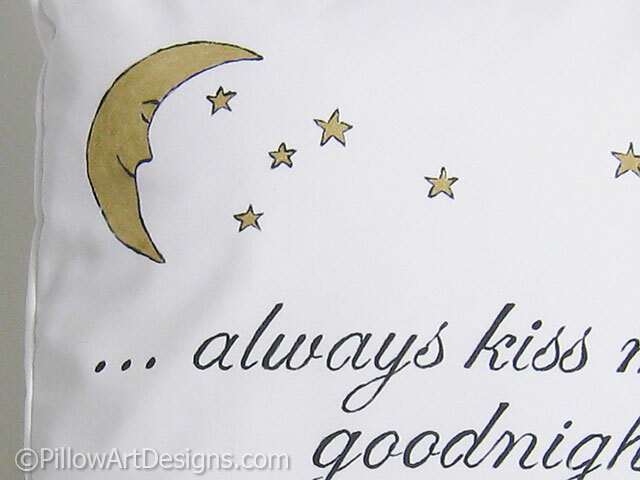 An adorable addition to your home decor, this decorative pillow cover features a crescent moon and stars painted in gold metallic with the words 'always kiss me goodnight' below the moon and stars. 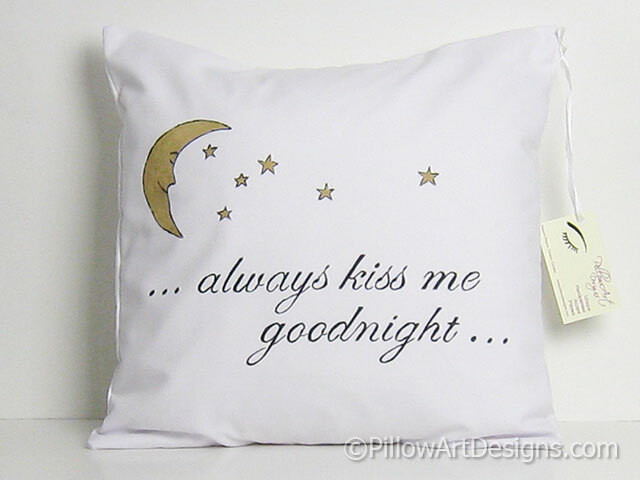 Cover made to fit a 16 inch X 16 inch pillow insert (not included). 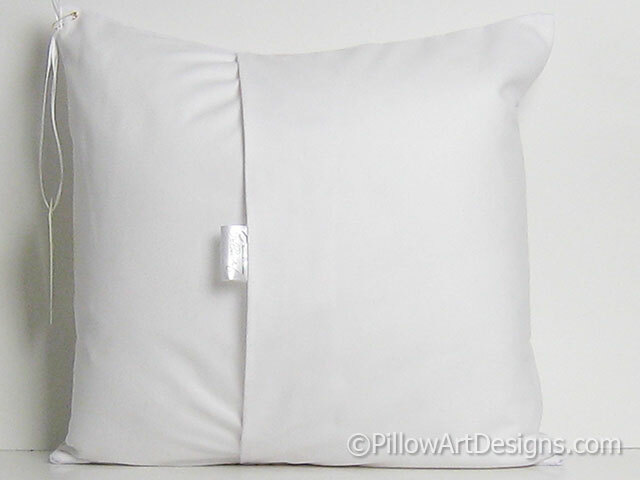 Fabric is white cotton twill, pillow front lined with 100% cotton. 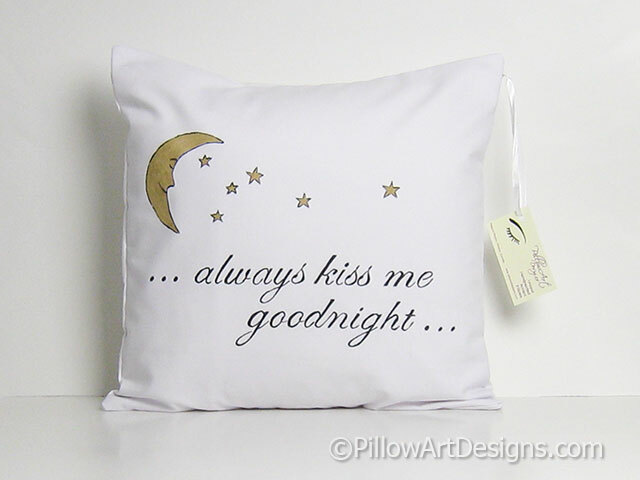 Handmade and hand painted by me, ready to ship.